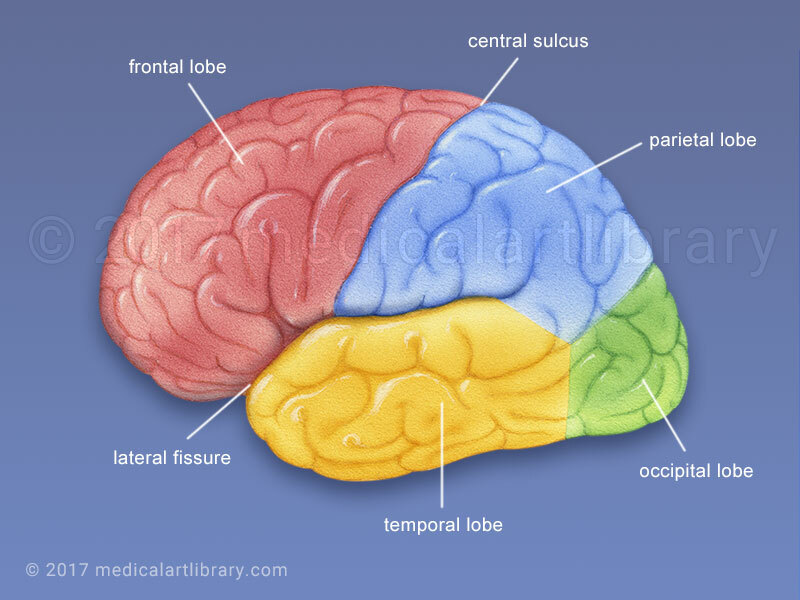 Each hemisphere of the brain is divided into 4 lobes by sulci or fissures. The frontal lobe is separated from the parietal lobe by the central sulcus. The lateral fissure separates the frontal lobe from the temporal lobe. The parietooccipital sulcus separates the parietal lobe from the occipital lobe.